S. D. Keeling | Award-winning photographer and author, currently working on a middle grade time travel series. 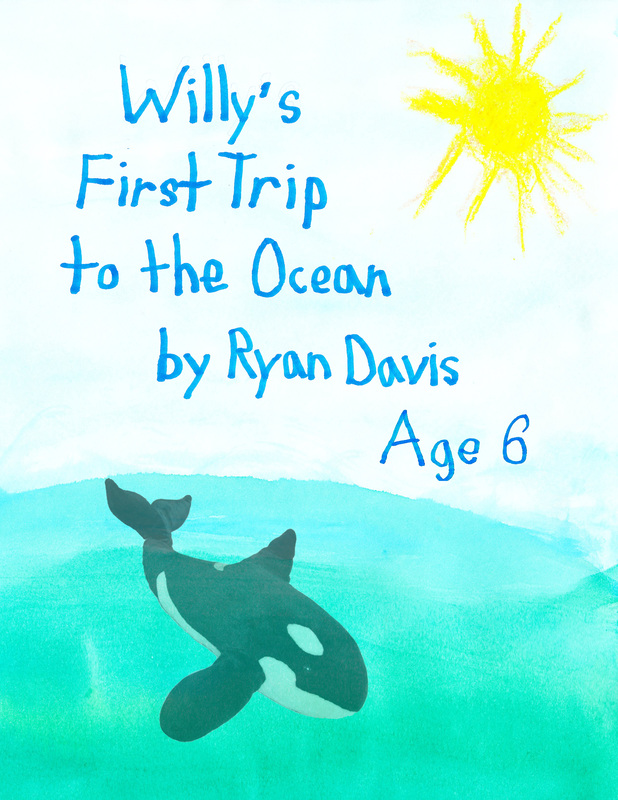 I recently had an incredible experience—guiding my six-year-old as he wrote his first story. I abandoned my Ph.D. track partially because my time as a T.A. in World History 101 convinced me I despised teaching, but helping my child discover the joy of storytelling was truly amazing. And a lot of hard work, for both of us. This journey began when I saw a post about the PBS Kids Writers Contest. I just knew my precocious kindergartner would latch onto a project like that, and he did. I took dictation as he spun an imaginative tale about his stuffed orca coming to life as a real whale. In no time, he had a complete story—or so he thought. But as every writer knows, that’s just the beginning. The first thing I taught him was the concept of the first draft and that every story you read has been through several rounds of editing and rewriting. His face fell, but he wanted this story to be good. We used worksheets from the PBS website to break down his story structure. His story naturally had a good beginning, middle and end, but the worksheets helped him find ways to strengthen the final problem and resolution for a more satisfying ending. He still wasn’t done, though. His story was now over 500 words, and the contest limit was 200. That meant he had to do a lot of cutting. We went through every sentence, talking about whether that sentence contributed to the story he’d outlined on the worksheets. He especially hated cutting the paragraph about his little brother’s stuffed seal, but he recognized that it wasn’t really part of the story. We searched for anything that was unnecessary or repetitive until the story was finally under the limit. There was still plenty of work to do since the contest called for illustrations and Mean Mommy made him write his story out by hand (not required for the contest, but I wanted him to practice his handwriting), but for this post I want to focus on just the writing process. What really struck me was how similar this was to the way I craft a story. Whether it’s a full-length novel or a 200-word children’s story, many of the ideas and processes remain the same. My child and I both invested many hours in this project, but it was time well spent. It was wonderful sharing something I love with my child. I ordered a hardcover version of his story for myself, and I’m going to treasure that book—and the memories of the time we spent together—forever. 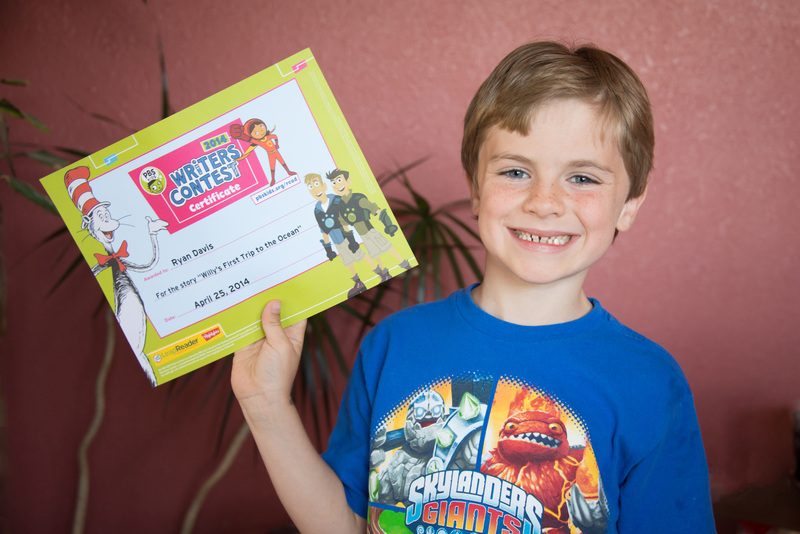 Oh, and in case you’re wondering, his entry took first place in the kindergarten category for our region and also received an honorable mention (second place) in another contest for 6-11-year-olds sponsored by the Springfield-Greene County Library. I can’t wait to see what he writes next! This entry was posted in Editing, Family, Woohoo, Writing and tagged Editing, family, First draft, motherhood, parenting, S. D. Keeling, Writing on May 19, 2014 by S. D. Keeling. I wrote about this topic in my latest President’s Address for the Ozarks Romance Authors newsletter and decided to open it up for discussion here. When is your manuscript good enough? It’s a question that’s been on my mind a lot lately as I wrap up revisions on THE AMULET OF ISIS. 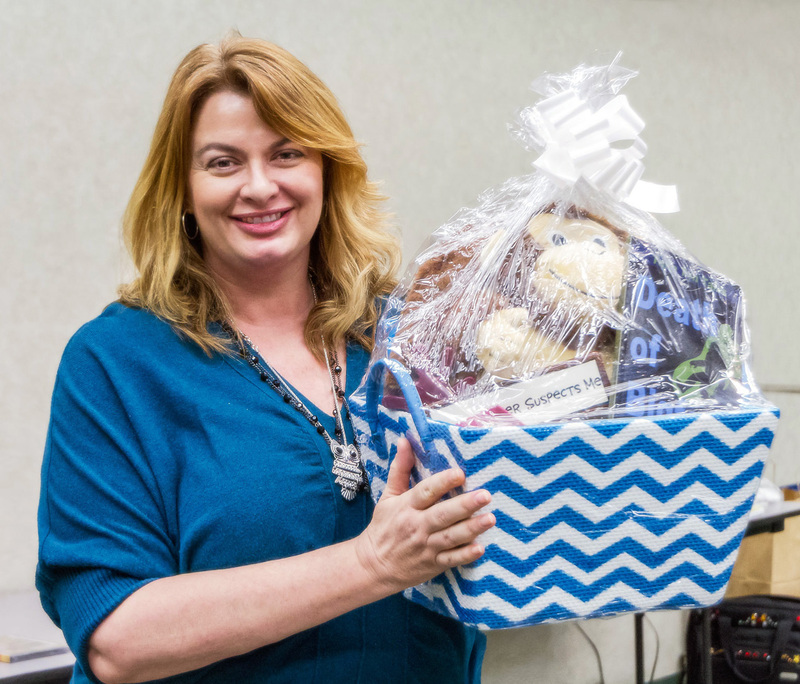 At this month’s ORA meeting, speaker Jacquelynn Gagne lamented that so many manuscripts go out the door before they’re ready. With the wealth of publishing opportunities available today, it has become all too common for books to be released while still riddled with basic errors. There’s a deeper level of story editing that’s often missing as well. Agents and editors often tell us we need to have that manuscript perfect before we submit. But perfection isn’t possible. We can hire professional editors and enlist the aid of critique partners, but even then, our literary creations will still have flaws. Even the professionally edited books released by the big publishers contain errors. So when is enough enough? The answer will be different for each of us depending on our goals, writing styles and supply of patience. Some authors turn out a book each season, while others spend years perfecting a single masterpiece. What kind of writer do you want to be? How good is good enough for you? Tough questions for all of us. This entry was posted in Editing, Perfectionism, The Amulet of Isis, Writing and tagged Editing, Jacquelynn Gagne, Ozarks Romance Authors, Perfectionism, S. D. Keeling, The Amulet of Isis, Writing on March 5, 2014 by S. D. Keeling. NaNo (National Novel Writing Month) is great, but if you’re a writer and you’re not doing Sleuths’ Ink Mystery Writers’ JANO writing challenge, you’re missing out. It’s not just for mystery writers, or just for people who live near Springfield, Missouri, or just for people who want to write a novel in a month. It’s for anyone who wants to be challenged to push themselves while enjoying the camaraderie of other authors. And prizes. Did I mention prizes? 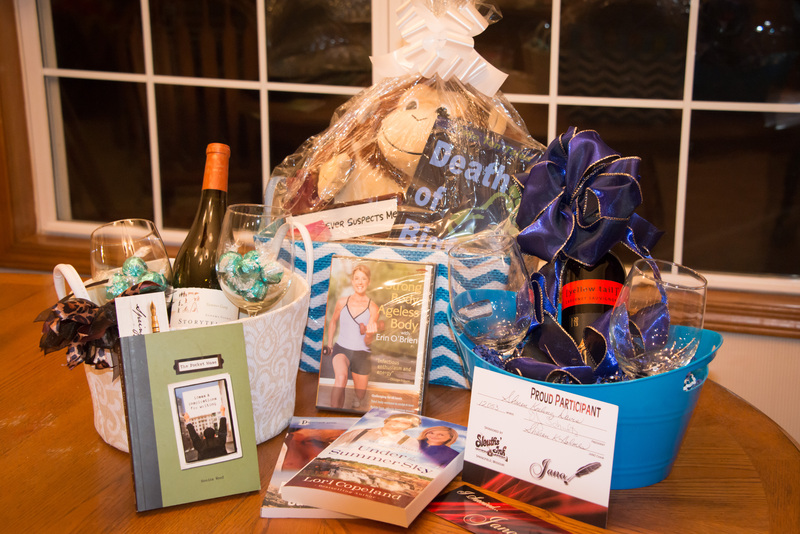 A fabulous prize basket including V. J. Schultz’s book, DEATH OF BIGFOOT. I had been hoping to have book two fully researched and plotted and be ready to dig into the first draft during JANO. Instead, I was still finishing revisions on book one and just beginning to plot book two. It worked out, though. One of the great things about JANO this year was the ability to include more than one work in progress, so my efforts on both books counted toward the 12,000 words I collected. 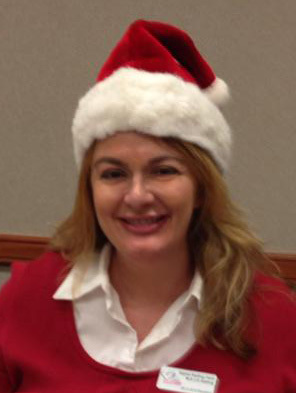 That was enough to allow me to join the reindeer games at the wrap-up party last weekend. I love the fun contest categories the organizers of JANO come up with—best title, most unusual setting, most unique character name, etc. I took home prizes for best blurb, author’s favorite line and best cliffhanger sentence. I still need to dig into those prize baskets and see what all is in there. I know I have two bottles of wine, lots of chocolate and, to mitigate the damage, a workout video. Plus some great books to relax with. My haul from the JANO 2014 wrap-up party. Like last year (see post here), I once again “lost” JANO, yet made good progress and had a great time. That’s a win in my book! This entry was posted in JANO, NaNoWriMo, Woohoo and tagged Death of Bigfoot, JANO, NaNoWriMo, S. D. Keeling, Sleuths' Ink Mystery Writers, The Amulet of Isis, V. J. Schultz, Writing on February 10, 2014 by S. D. Keeling. It’s nearly the end of January. Not sure how that happened. I don’t think it’s legal to set your New Year’s resolutions in February, even if you do have excellent reasons for being behind schedule (see my last post), so it’s time to get this done. Top of my list? Tackling my issues with procrastination. Yeah, that was a joke, but I’m also completely serious. Remember the post where I said my twin demons were perfectionism and procrastination? Those demons have been kicking me around more than I realized. I’ve been reading a book by Richard Winter, PERFECTING OURSELVES TO DEATH: THE PURSUIT OF EXCELLENCE AND THE PERILS OF PERFECTIONISM. Many of Winter’s words hit home for me—sometimes painfully so. Now that I understand the basis for my struggles with procrastination, doubt and indecision, I’m determined drive those demons back to the dark cave where they belong. 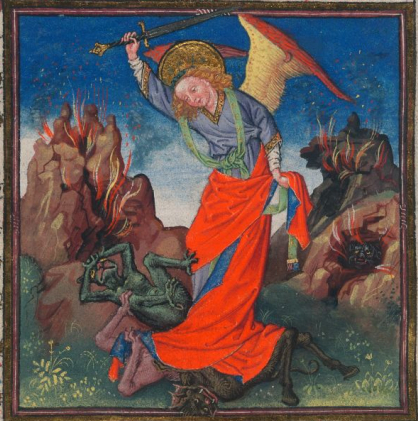 From the 15th-century Book of Hours of Catherine of Cleves. I’ll spare you all my personal resolutions about broccoli, elliptical machines and being more patient with my boys and get straight to the writing-related goals. Number one—submit THE AMULET OF ISIS to agents. Then submit some more. Repeat as necessary. I can’t say that I’ll have an agent and publishing contract by the end of the year—that’s not under my control. But I can resolve to keep submitting. I’m waiting for feedback from a few important beta readers before I send my baby out into the world, but the day is coming soon. Number two—research, plot and draft book two of the series. I’ve got the ball rolling on this one, but there’s a lot of work ahead. Fun work, though. Those two are the biggies. Everything else is little stuff—myriad ways to expand and refine my social media presence and prepare to market my novel once it’s published. So how did I do in 2013? Health and fitness—um, I can pretty much cut and paste last year’s goals into this year’s resolutions. Ditto with home organization. I didn’t make much progress on either front. If I’m honest with myself, those simply weren’t my priorities. What were? My little boys, of course. And my writing. I looked back at my New Year’s 2013 post today—my first blog post ever. It was brimming with optimism for the coming year. Why? Because this was going to be the year I finally wrote a novel. And I did. “When next December rolls around, no doubt I’ll still need to lose weight, to organize my house and to search for an agent, but I will have completed my first novel. I was right. 2013 was something special. 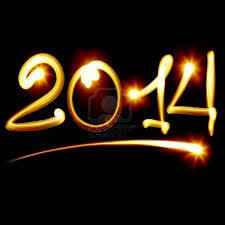 But 2014 has the potential to be even better. This entry was posted in Perfectionism, Procrastination, Resolutions, The Amulet of Isis, Uncategorized and tagged Goals, New Year's resolutions, Perfecting Ourselves to Death, Perfectionism, Procrastination, Richard Winter, S. D. Keeling, The Amulet of Isis, Writing on January 27, 2014 by S. D. Keeling. Yeah, I know, I’m late to the party. That’s been happening a lot lately. The last couple of months have certainly been an example of when life gets in the way. First—five weeks of pneumonia, including a few days in the hospital, while my husband suffered from bronchitis and my youngest had a painful double ear infection with a ruptured eardrum. That was a good time. I was healthy enough to run the Ozarks Romance Authors meeting in December, but probably pushed myself too hard in the process and suffered a bit of a relapse the next week. As I gradually became functional again, I focused on getting ready for the holidays. My boys are three and six, so Christmas is still a magical time. Lights on the house, a tree dripping with ornaments, cookies, presents—the list goes on and on, and I wasn’t going to let my boys miss out on any of it, no matter how sick Daddy and I were. 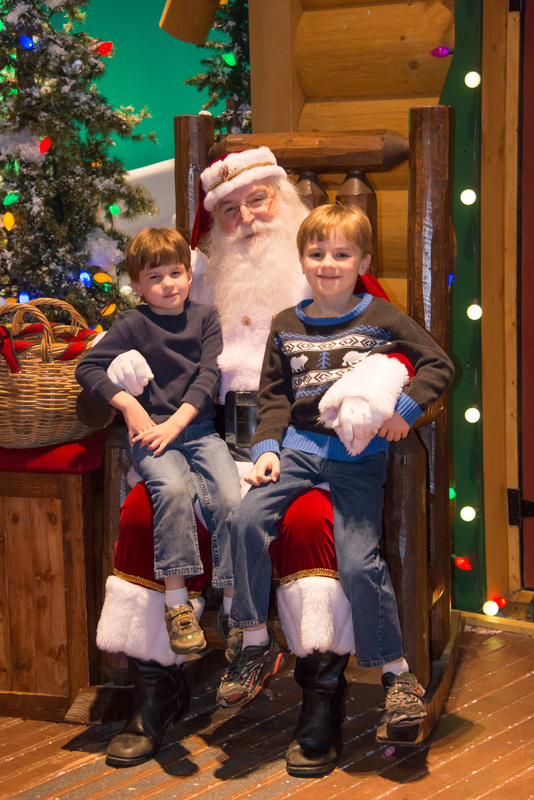 The toughest part was taking them to see Santa without killing ourselves in the process, but we got it done. Phew. The next task was moving out of the photography studio I’d been leasing the last few years. While I was sick, I did some hard thinking about my priorities and made the difficult decision that it was time to cut my overhead and downsize back to a home-based business. My lease was up at the end of December, so no matter how bad the timing was, it had to get done. Now I just had one last major hurdle. As president of Ozarks Romance Authors, I was largely responsible for organizing and running the annual Mega Critique Group and Write-In Event we co-sponsored with Sleuths’ Ink Mystery Writers on January 4. Several days disappeared in a blur of lists and e-mails and all the little behind-the-scenes tasks that crop up when you’re running an event. Thank goodness I had a great support team! We had a fantastic day, as always. When I got home from the event that evening, I immediately noticed that the house smelled smoky. Apparently, my husband tried to burn down the kitchen while boiling water for tea. For the record, he’s an excellent cook and knows his way around the kitchen. Obviously, watching the boys all day imploded his brain. There’s just no other explanation. The next day, the polar vortex hit with its snow and arctic temperatures. That was fine. After all that activity, I was perfectly happy to be confined to my nice, warm house. Unfortunately, that meant my boys were confined to the house too, with day after day of school cancellations. My Facebook timeline filled with humorous memes about frustrated parents wanting to devour their young. I could relate. Even more unfortunately, a frozen pipe burst, causing minor flooding in a few rooms downstairs. At this point, we’d had fire, flood and plague. What was next, locusts? Famine? So there’s my rather windy explanation for why I haven’t posted anything lately. Things seem to be getting back to normal now (knock on wood). We’re all reasonably healthy, I have every reason to expect my boys will be in school this week and several days have passed without any new disasters. Life is good. I’d like to say that through all of this, I followed my own advice about what to do when life gets in the way and continued working on my book, The Amulet of Isis, through hell and high (or frozen) water. Not so much. But after almost two months of neglect, I made significant progress on my manuscript this week. I tackled some of the trickier editing issues and added another 2,500 words. By Wednesday, I plan to have it ready to send to the next—and probably final—round of beta readers before I begin querying and submitting. Woohoo! Maybe after that I’ll finally get around to my New Year’s resolutions. This entry was posted in Family, Resolutions, Time Management, Uncategorized and tagged Editing, Goals, Mega Critique Group and Write-In Event, New Year's resolutions, Ozarks Romance Authors, polar vortex, S. D. Keeling, Sleuths' Ink Mystery Writers, The Amulet of Isis, Writing on January 13, 2014 by S. D. Keeling. One of the writing groups I belong to, the Ozarks Writers League, or OWL, had their awards dinner Friday night. I might have won a thing or two. I’m particularly excited about the accolades for my debut novel, THE AMULET OF ISIS. It was named Best Unpublished Book and received the President’s Award for the best entry in any category. I’m truly honored and humbled that my book was chosen out of hundreds of entries. I’ve worked very hard on this project, and seeing it honored meant a great deal to me. 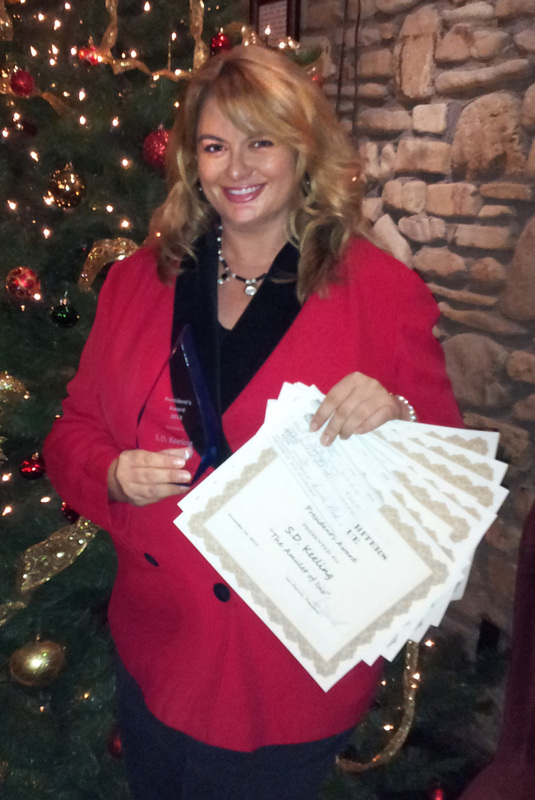 I also received First Place in the Flash Fiction Mystery category sponsored by Sleuths’ Ink Mystery Writers. What a crazy category! A 500-word mystery that must contain the words stumble, piranha and skeleton. That was a fun challenge. My stab at it is posted below. My 1,000-word vignette of a girl dealing with sexual abuse, “The Lesson,” won Second Place in the Young Adult Short Story category. I also placed second in the Six-Word Memoir category and received First Honorable Mentions for 99-word Flash Fiction and Romance Short Story Based on a Photo Prompt sponsored by Ozarks Romance Authors. It was a big night! In case you’re curious, here’s what I came up with for that crazy 500-word Flash Fiction Mystery challenge. Think piranhas will clean the skeleton? You’re kidding, right? Just meet me at the swing. 3 a.m. I stared at the texts, wondering what inside joke I was missing. Not that it was any of my business. This wasn’t my phone, after all. I’d finished with my last patient and was about to lock up for the night when something purple and sparkly caught my eye in the waiting room. An iPhone. Latest model too. I wasn’t trying to snoop. As a psychiatrist, I hear more than enough dirty little secrets. I just wanted to find who the phone belonged to. That’s when I saw the texts. The other texter was only identified as 262-73, but I found the owner’s name and went in my partner’s office to pull her file. Joe and I have been buddies since med school, so everything’s fair game in our office. I scanned her record. Ritzy address. Troubled marriage. A long list of molehills turned into mountains—the type of first-world problems that kept our uptown practice open. Then I noticed a newspaper clipping tucked inside. Today’s date. An article about a missing real estate tycoon. What if those texts weren’t a joke? I dialed Joe, hoping for a simple explanation. No answer. Could he be in danger too? Because she’d revealed too much during their sessions? I thought about calling the police, but I didn’t have enough information to risk breaking client confidentiality. My hands were tied. I was still thinking about those texts hours later as I untangled the blankets on my bed for the fifth time that sleepless night. Meet me at the swing. 3 a.m. I kept picturing the rope swing at the lake where Joe and I used to drink beer on Friday nights. That couldn’t really be it, could it? I squinted at the clock. 2:07 a.m. What the hell. I obviously wasn’t going to sleep. I turned onto the gravel road and switched off my headlights. Paranoid, I know. Just enough moonlight filtered through the trees to drive by. My tires made a lot of noise on the gravel, though, so finally I got out and walked. As I neared the lake, I spotted two dark figures silhouetted against the water. A man and a woman. I probably could have heard their whispers if the beating of my heart weren’t so loud. Like a scene in a movie, they lifted a blanket-wrapped lump and heaved it into the water. As they turned, moonlight fell on the man’s face. I gasped and stumbled. Two sets of eyes locked on me. “See, I told you he’d follow the clues,” Joe said to the woman. She raised a gun and realization hit like an icy blast. This entry was posted in The Amulet of Isis, Uncategorized, Woohoo and tagged Flash fiction, Ozarks Romance Authors, Ozarks Writers League, S. D. Keeling, Sleuths' Ink Mystery Writers, The Amulet of Isis, Writing, Writing contest on November 17, 2013 by S. D. Keeling. I’m a glutton for pain. I must be. Getting a manuscript ready to release into the world involves revision and feedback, but how much is enough? Critique groups, contest judges, strangers on the internet—some chapters of my book have had dozens of eyes on them. The rest have been read by my go-to critique partners, the two most thorough, insightful and brutally honest reviewers I could find. These ladies know how to make me cry. That means I’ve had a lot of practice lately accepting criticism. I thought I’d share a few lessons I’ve learned along the way. One of the rules in the Ozarks Romance Authors’ critique group is that the author listens and does not speak. That’s a hard rule to follow, but a good one. Sometimes we want to explain the bit the reader didn’t understand or why we wrote that passage the way we did. Don’t. If it requires an explanation, it doesn’t work. The writing must stand or fall on its own. Other times we want to argue and show the critics why they’re wrong. Definite no-no. Hearing criticism of our work is painful, and the natural reaction is to become defensive. Remember that the people offering feedback have given their time and creative energy to help make your work better. Be grateful for that gift, even if you don’t like what they have to say. Although you shouldn’t tell your critique partners they’re wrong, sometimes they will be. Some suggestions won’t be right for your voice, your genre or your characters. Some advice will be just plain bad. Trust yourself. Trust your instincts. Trust your vision for your book. Some critiques are easy. We know the commenter is right, and the change is quick and simple. Or we know the suggestion is wrong for our book, and we can ignore it. A lot of comments require a tough judgment call, though. Maybe they’ve pointed out a real weakness, but we’re not sure how, or whether, we can fix it. Or maybe we’re not sure whether we should use the suggestion or not. That’s when things get tricky. Give yourself time to let your knee-jerk defensive reaction fade before you make a decision. The comments that made me the angriest often led to the best revisions. I think that’s because, deep down, I knew the criticism was valid, but I didn’t want to face the problem. Make sure you’re not dismissing valuable comments based on wounded feelings. They’re critiquing the writing in front of them, not your value as a writer. You WANT them to find problems. That’s what helps you make it better. You didn’t think it was perfect, did you? If you did, why did you ask for feedback in the first place? I’m going to keep repeating these phrases to myself, because an important lesson I still need to master is how to take in all this criticism without becoming discouraged. You’d think with all the supportive encouragement, positive agent feedback and competition successes I’ve had lately, I’d be immune to self-doubt. Not so much. Although my work may be good, it can be better. And I’m going to make that happen. What about you? What are your experiences with critiques? What do you struggle with? This entry was posted in Editing, The Amulet of Isis, Writing and tagged Critique groups, Editing, Handling criticism, Ozarks Romance Authors, S. D. Keeling on October 16, 2013 by S. D. Keeling.